I don’t write about pet topics too often, but realize that I really get excited to write about it as I really love my two little furballs. I don’t have children and have kind of replaced my two super loving cats as my babies, so they probably get spoiled a bit more than most. But I realize life gets busy and I don’t always keep up on their health as good as I should. 1. Don’t skimp on the teeth brushing. This is where I learned the lesson of brushing your cat’s teeth the hard way, thanks to a not-fun $350 vet bill! My poor kitty had super red irritated gums and had to have a few teeth removed because of the horrible plaque buildup! I felt horrible when I picked him up after he had to “go under” for this treatment! I knew you were supposed to brush dog’s teeth but for some reason, it never occurred to me that my cats need it too, probably because they can be such finicky little animals and I kind of assumed they would never in a million years actually go for it! Then after a few weeks to a month, I started using a toothbrush on their little teeth. The thing I learned with cats is, they won’t often let you do it for long, but the more often you can do it (I try to do it at least once a week), it seems to still work. I brush quickly from one end of the mouth to the other. I’ve found over time, they’ve let me brush for longer, well at least depending on the day. I also then reward my cats with some cat treats after, that are also great for removing plaque too, so they get an extra dose of cleaning with each teeth brushing, I’ve been doing this for the last 3-4 years now and my vet said both cat’s teeth were looking much better and healthier. 2. Brush your cat regularly. Once a day or more for thicker, longer hair breeds, and once or twice a week for shorter hair breeds. As I’m writing this, I’m pulling out my cat’s hairbrush as I realize since I’ve moved into my new home over a week ago, I haven’t brushed my poor kitties. My younger cat tends to get furballs the worst and reminds me when I’ve slacked on the brushing by throwing up a yucky hairball! Ewwwwww. 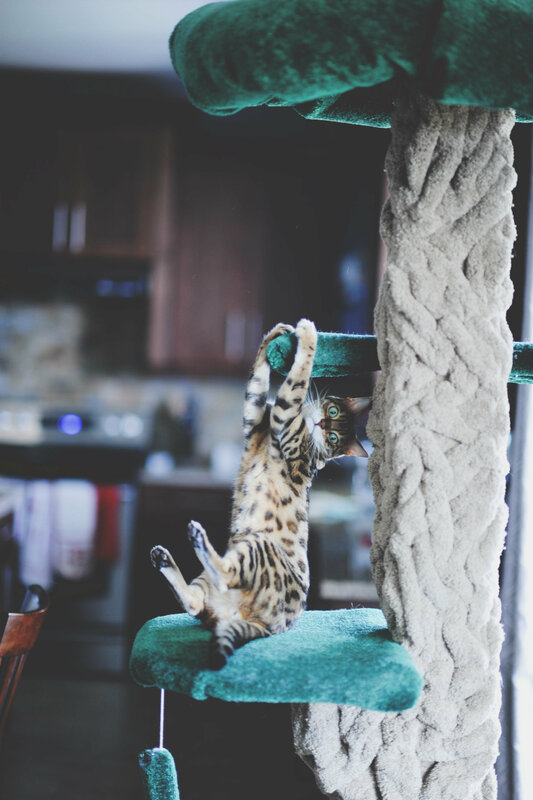 Brushing regularly helps keep cats coats healthy and shiny and reduces hairballs in the stomach, as well as of course, the puking up of hairballs, and the excess fur that gets shed all over the furniture and home! Play around with different types of brushes to find the one your cat likes the best. I’ve also found that catching my cats when they are sleepier is a good time to do this (it’s also a great time for nail trimming as well!) I also brush them when they are following me around the house meowing, and I can see they are really dying for some attention. They seem to actually enjoy the brushing then! 3. Visit the vet each year for a physical checkup and yearly shots. While I sometimes delay vet visits for a few months longer than their yearly, I have never missed an appointment. I have had vets catch things I wouldn’t otherwise, such as my cat’s gums being extremely red and irritated, (which I was then giving a gum soothing cream to treat). I also want to make sure they are current on their vaccinations so they stay healthy. While my cats are indoor only, often times things can still be brought into our home by catching a ride on us or the bottom of our shoes. Keep your little furballs healthy and safe by making sure they get their shots each year! Also, not all vets are created equal. I’ve had some that barely looked at the cat, just gave him his shots and sent us on our way. I’ve also had others that weigh them at each visit, thoroughly check teeth, ears, and coat, and are also kind and gentle with them too. I bet you can guess which vet I’ve stuck with and visit each year! 4. Make sure you’re feeding your cat a nutritional, healthy food, best suited for their needs. I found out pretty early on after adopting my kitty that he had some major allergies to most cat foods. He started throwing up after eating daily and I kept trying different foods to no avail. Finally, after a vet visit, we came to the conclusion that my cat has allergies to grains, which are found in MANY cat foods out there. Once recommended a good healthy, nutritious high protein cat food which contains no grains, my cat immediately started throwing up a whole lot less (although he still does every now and then but usually only once or twice a month now, and I think it’s due to him being a fast eater). 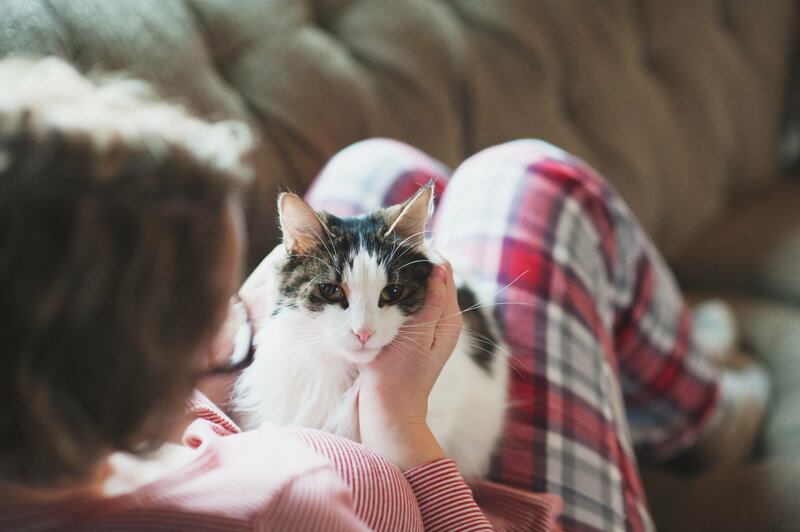 Like your vet, not all cat foods are created equal so make sure you’re feeding your little furball a healthy cat food that will provide his little furry body with everything he needs to stay healthy, happy, and active. 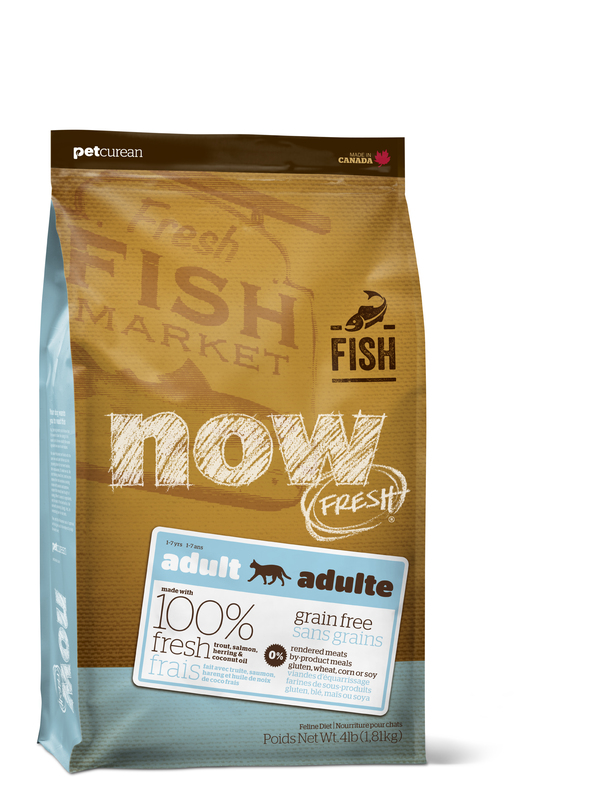 I love the Now Fresh Freshwater trout and salmon for food allergies and sensitivities from Petcurean. This food has been amazing for helping my cat keep his food down. Plus I love that Petcurean recipes are made using protein and a limited number of premium, nutritious ingredients such as unique carbs, and essential omega oils from coconuts or canola, to meet specific needs of dogs and cats. 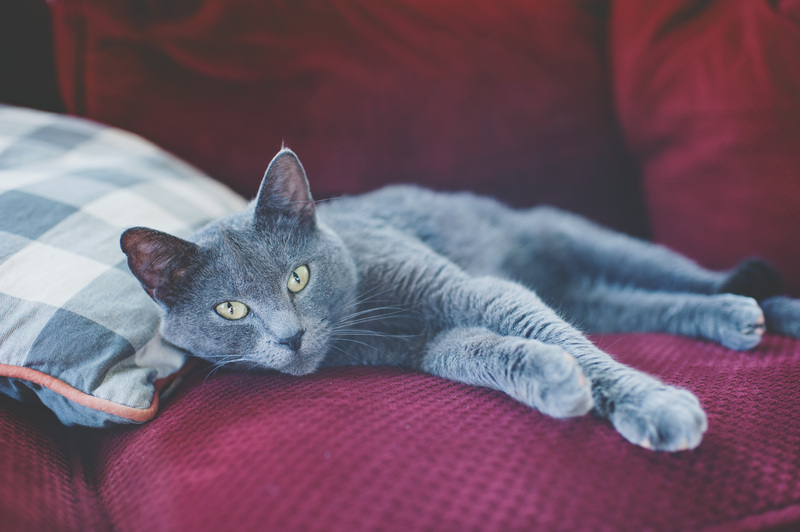 They have great formulas for pets with specific dietary needs and foot sensitives like my cat, so you can find the perfect food for your furry friend! I was also pleased to learn that Petcuren pet foods also contain fruits and veggies such as wholesome berries, fruits, and veggies such as peas, spinach, cranberries, pumpkin, blackberries, alfalfa sprouts, kelp, lentils, and carrots. Petcurean Has zero grains, zero rendered meat, zero by-product meals, and no artificial preservatives. 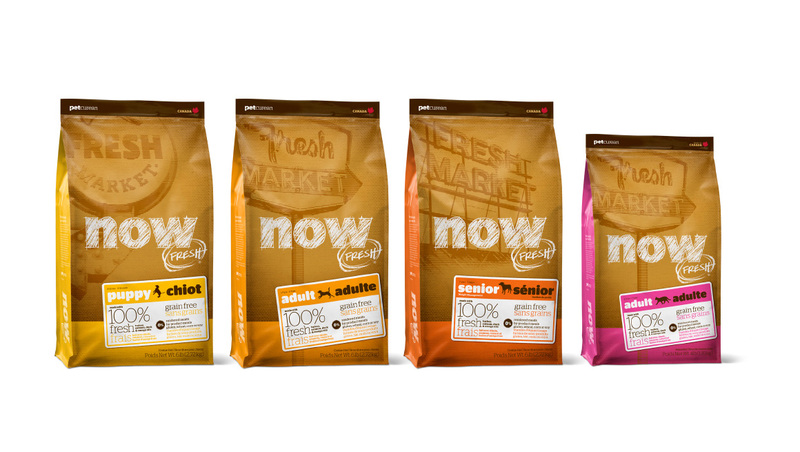 Also, use the code: PS106ZW997 at checkout and save $5 off your next order of pet food from Petcurean! Also, the lovely people of Petcurean are letting me GIVEAWAY one bag of cat (4 lb) or dog food (6 lb) of choice to one of my lovely readers! ENTER TO WIN a bag of pet food from Petcurean in the Raffle copter for below! Hurry! Giveaway Ends Nov 7! We adopted our senior dog in 2009. I should say she adopted us. She came right up to my daughter at an adoption event (the 4th or 5th one we attended) and my daughter fell in love with her. We have 4 cats ages 5-20 and 3 rescue pups around 9 years old too they are all amazing we just love them. I have 5 cats, all rescues or strays that we took in. They all are silly little fur balls and they make me laugh daily. I can’t imagine not having them. I have 2 indoor cats. One is a short haired 15 yo senior and I also have a 12 week old long haired black kitten. I also take care of seven ferals and we have a chinchilla too! We have a 12 yr old Oriental Shorthair purrpurrPrincess that was our wedding gift to one another as our dream cat when she was only 5 mos old. We named her CHERISH Bliss in honor or honor of our love for one another & for her. She acts even more unique than she looks and is as obsessed with us as we are with her. We also have a beyond loved & beyond spoiled Cockatiel bird Medley that we got at 4 mos old that is now 9 yrs old. We do not clip his wings, his cage is open all of our waking hours & he is our tiny king. we have 2 different Pitbull granddoggies that we love to get gifts for and spoil too. If I am lucky enough to win this will be for one of our granddoggies as part of their Santa Paws Xmas Gifts. We have two, Lila is a kitten we adopted and Roxy is our 5 mo old pitbull puppy both are definitely a handful at their young ages but we love the fact that they are growing up together. I have 5 cats and a dog and feed 2 feral cat colonies, so where to starts? 🙂 The 6 inside are all rescues. All five of the cats are socialized ferals that couldnt find homes due to medical reasons . I kept them and now with the exception of one are all senior aged. All of them are unique and have their own personalities from head bumping to clingy. Our dog is a senior too, and recently went blind. 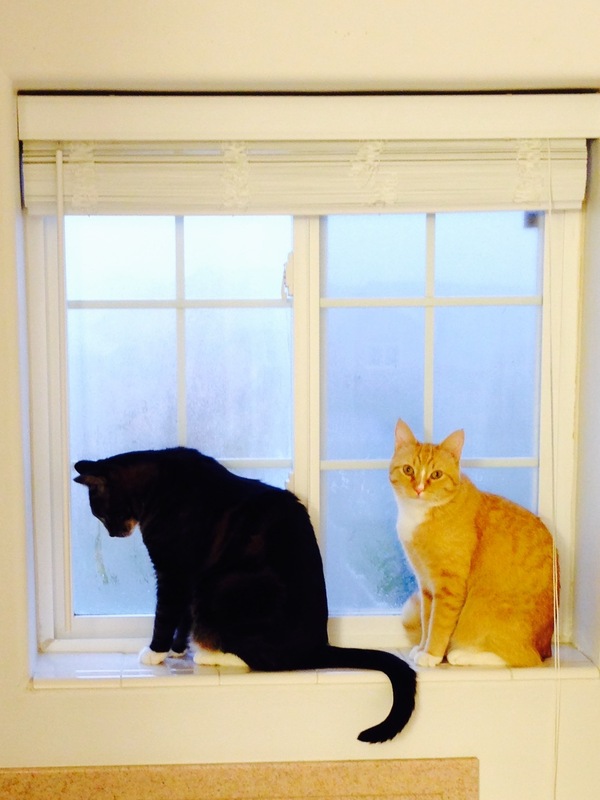 I have 2 cats that are brothers and are 4 years old. They are grey tabbies but have different patterns. Both are loving and intelligent. We have three cats and three dogs – all rescues. My cats are Moko (10) who was found as a stray by a friend’s father and who has been having medical issues (hyperthyroidism). Aratra (4) is actually my daughter’s cat and will eventually move out with her when she moves. Kotoha (1) is my baby and I actually found her as a tiny feral kitten at only two weeks old who had to be bottle fed at first. She’s a sweet, loving, feisty girl who everyone loves. My dogs all came from high-kill shelters in NC and SC and are Treeing Walker Coonhounds. The cats and dogs get along great!